Shekhawati is located in North Rajasthan comprising districts like Jhunjhunu, Sikar, Churu, and parts of Nagaur and Jaipur. History has it that in the 17th to 19th centuries, Marwari merchants constructed these grand havelis in the Shekhawati region. Steeped in wealth and affluence, these merchants got busy outdoing others in building more grand edifices - homes, temples, step wells which were richly decorated both inside and outside with painted murals. It is bounded on the northwest by the Jangladesh region, on the northeast by Haryana, on the east by Mewat, on the southeast by Dhundhar, on the south by Ajmer, and on the southwest by the Marwar region. Its area is 13784 square kilometers. The inhabitants of Shekhawati are considered brave, sacrificing and hard working people. Shekhawati was first mentioned in the book Bankidas ki Khyat. Contemporary of Bankidas was Colonel W.S.Gardener, who used the word Shekhawati in the year 1803. Later Colonel James Tod wrote the first history of Shekhawati. The term Shekhawati was used frequently in Vamsh Bhaskar. This suggests that the term Shekhawati came in use about two and half centuries ago. Shekhawati is named after Rao Shekha Shekhawati is in the Thar Desert of Rajasthan, and has special importance in the history of India. Shekhawati is a dialect of the Rajasthani language and is spoken by about three million speakers in the Churu, Jhunjhunu, and Sikar districts of Rajasthan. Even though it is a very important dialect from the grammatical and literary points of view, very little work is carried out on it. In 2001 a descriptive compendium of the grammar of Shekhawati was published. Shekhawati, like the Bagri dialect of Ganganagar and Hanumangarh districts, has a parallel lexicon which makes it very rich from the lexicographical point of view. Word order is typically SOV and there is an existence of implosives. The presence of high tone at suprasegmental level classifies it with other dialects of Rajasthani. It has contributed a lot to the development of Rajasthani language and linguistics. Many historians have considered this region included in the Matsya Kingdom. Rigveda also provides certain evidences in this matter. Manusmriti has called this land as 'Brahmrishi Desha'.Shekhawati region was included in 'marukantar desha' up to Ramayana period. Out of 16 mahajanapadas prior to Buddha, only two janapadas, namely Avanti and the Kingdom of Virata were counted in Rajasthan area. This region was also influenced by Avanti but later on Nandas of Magadha defeated Avanti. Historians believe that Mauryas obtained the Rajasthan from Nandas. 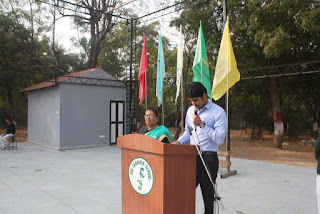 Dhruv Rajpurohit / Batch 2003 visited the School on the occasion of Republic Day. He was invited to speak a few words of motivation to the students. Dear Madam Principal, all the teachers, staff members and fellow students, thank you for giving me the opportunity to speak in front of you all today. I promise I'll keep it short and simple and hopefully won’t bore you too much. 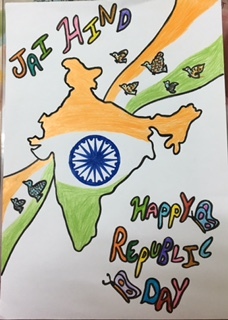 First, let me congratulate all of you gathered here today, a very pleasant and Happy Republic Day. As I stand here today, I remember the time when I was a student at The Fabindia School from 1996-2003. I left in 2003 to further study abroad in the USA. I was fortunate to be a part of The Fabindia School because this school instilled in me all the qualities and challenges of life to be successful in the future. I want to thank all of my teachers for helping me get to where I am today. All of you students, I will tell you today that use this opportunity and education to better yourself and go further in life than you would love over imagined. In this atmosphere I received all guidance necessary to tackle whatever obstacle that may arise in the future but you must take the initiative yourself by giving your best effort and using your time wisely. Become a good student, be a good listener, be a respectful classmate, be curious and most important always be willing to work hard for what you want. When I was a student of your age my dream was to become a doctor. I made sure that I did everything I could to make it come true; it was never easy and it will never be easy if you have a similar dream. There were times when I thought I wasn't good enough, or that I will never get into medical school, or never pass a test. One thing kept me going and then t was motivated. I was motivated to be successful, and would never accept failure as a result. I knew in my heart that if I worked hard, studied more, slept less, that one day I will make my dream come true that I had when I was a child. The point is that once you realize your dream and work hard for it, it will come true. Don't think you're not good enough or you can't do it or let other people discourage you. Work hard even if you have to sacrifice a lot of things because those who never give up never lose. I have no doubt that you all can accomplish your dreams if you give your best effort, work hard and remain motivated. 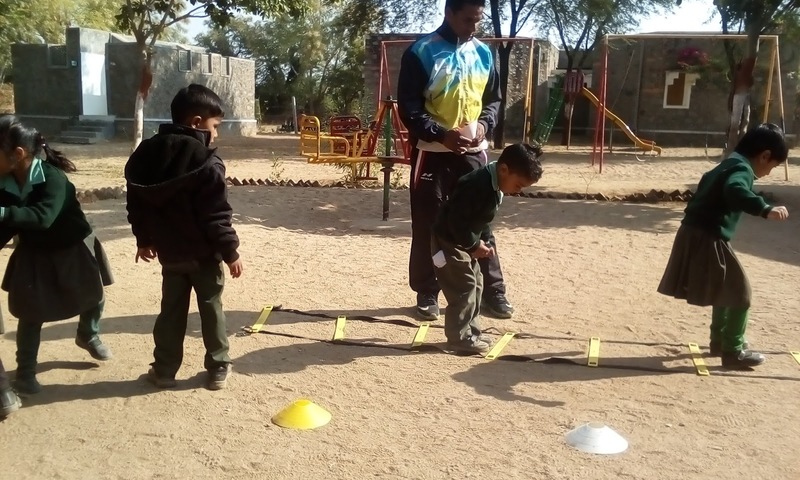 "Sapne wo nahi jo neend mein aaye, sapne wo hain jinhe pure kiye bina neend nahi aaye"
Monday, 23rd January- Tuesday, 24th January: Staff attended their PDP Session. They sat in their respective groups and wrote their chapter of the novel which is in process. Saturday, 21st January: Mr. Ajay Vijaywargi/ HOD Math and Mr. Suresh Negi/ Math Department attended a two day CBSE Math workshop at Rajmata Krishna K Girls Public School, Jodhpur. On 21st January Pre Lunch Session included formal introduction of participants and a discussion on `Why students are running away from Mathematics`. The Post Lunch Session was based on developing Multiple Intelligences of students and various procedures required to identify them in students. On 22nd January Pre Lunch Session was based on ideal Lesson Plan and presentations on it by different groups. Post Lunch Session included discussions and suggestions for enhancing mathematical skills with distribution of participating certificates to all and a group photograph of Resource persons and participant. Staff congratulates Mr. Prakash Dangi for being honoured by SDM, Sumerpur on the occasion of 68th Republic Day for his best performance in Music in Sumerpur region. Staff congratulates and wishes Mrs. Bharti Rao on her 25th Wedding Anniversary. KDE: I joined this school on 1st August 2007. KDE: Mrs. Parineeta Ranpal was the Principal at that time. blocks only and one bus was there. ED: Did you have 12th Class at that time? KDE: When I joined, that time there was no 12th Class but after getting affiliation from CBSE it started in the School..
KDE: I used to teach Class III- VI but I taught Sanskrit in Classes VI-VIII..
KDE: Yes, Sohan ,Aditi ,Nishank and Khushpal are in contact with me . ED: Who are the teachers teaching now with you when you joined the school? KDE: Mr.. Byju Joseph, Mrs. Bharti Rao and Mrs. Prerna Rathod were teaching in the school before I joined and they are still there from that time to now also. KDE: We are having contact with other schools and children are getting new environment, children go and come on exchange program and learn a lot about each other’s lifestyles and interact nicely . PDP Sessions for teachers help them to learn technology and make their teaching more effective. Local teachers are less because teachers come from outside which also helps a lot to develop the school. .
ED: What are the changes which you want to see in your students? KDE: I want that the students to be more disciplined because discipline is the first step of success. KDE: Do a lot of hard work and get success and achieve your goal. I was under the rule of Britishers. Many shed their blood, just to save my life. Celebrate it as “INDEPENDENCE DAY”. which you celebrate as “REPUBLIC DAY”. Saturday, 28th January: Inter House GK. Quiz was organized for the students of Class VI- VIII. There were six participants from each House. There were four rounds and in each round ten questions were asked. All the rounds were buzzer rounds. The students gave outstanding performance. Results awaited. Cartoon movie was shown to the Pre Primary students. They had fun and enjoyed a lot. Wednesday,25th January: Grand Rehearsal of 26th January was organized for the students of Class Nursery- V as they observed a holiday on 26th January. 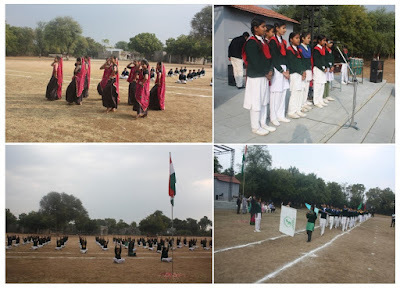 Thursday, 26th January: School celebrated 68th Republic Day with gusto and enthusiasm on 26th January 2016. 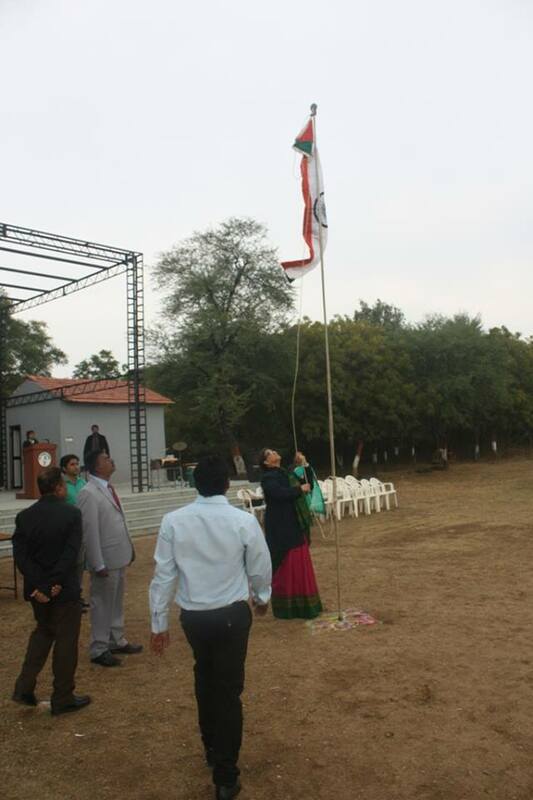 The Principal Mrs. Deepika Tandon graced the occasion as the Chief Guest and hoisted the flag and took the parade salute. She inspected the parade. Mr. Vineet Singh, Mr. Sandeep Singh and Ms. Swati Sood judged the March Past. The House contingents were inspected by the Principal. After the P.T. Display, Chanchal Choudhary/ X/ RH presented a speech. Senior Girls performed a Rajasthani Patriotic Dance. Dhruv Rajpurohit/ Alumni/ Batch 2003 also addressed the School. He said that he was overwhelmed by the whole occasion and felt honoured that his growth took place here. The whole program was anchored by Pooja Dutta/ XII/ GH. Patriotic song was sung by School Choir. Principal Ms. Deepika Tandon gave a motivational speech and Mr. Byju Joseph gave Vote of Thanks. Once the whole function got over sweets and flags were distributed among the students. Saturday, 28th January: Inter House Football Match was organized for the students of Senior Section. The first match was played between Raman House and Dhyanchand House, in which Dhyanchand House was the winner. The second match was played between Teresa House and Gandhi House, in which Gandhi House was the winner. Finals was played between Gandhi House and Dhyanchand House. There was a tough competition between each house and all the players put in their best. Results awaited.